Parent Tested, Parent Approved has partnered with KitchenAid for a fantastic contest! 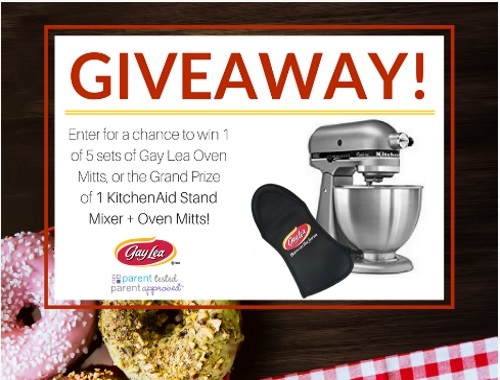 Win 1 of 5 sets of Gay Lea Oven Mitts or the Grand Prize of a KitchenAid Stand Mixer + Gay Lea Oven Mitts! Enter on the form at the link below, there are lots of ways to enter. Contest closes March 5, 2017. Quebec residents are excluded from this contest.